I came home one late December day in 2013 to discover my beloved 12 year old black lab mix Nick had two hard, golf ball sized lumps on the underside of his neck. The lumps turned out to be his lymph nodes, extremely swollen due to advanced Lymphoma. Weeks to live was the prognosis. Chemotherapy I was told could possibly extend his life by maybe 6 months or more, but at 12 years old, I couldn’t see putting him through all the pain, sickness and stress associated with it just just to gain an extra handful of months with him. I opted instead to put him on Prednisone, a pretty heavy duty drug used as part of a Chemotherapy treatment plan. On its own, it's sort of like giving your dog just enough Chemo to knock down the cancer temporarily and make them feel better. For some dogs, it can actually lead to temporary remission. Unfortunately Nick wasn't in the latter category. He lived just three short weeks after his Lymphoma diagnosis. But, in those final three weeks of his life I did all I could to make as many days as possible like a Make a Wish Foundation day for him. He got to eat steaks, rotisserie chicken and even an occasional cheeseburger. 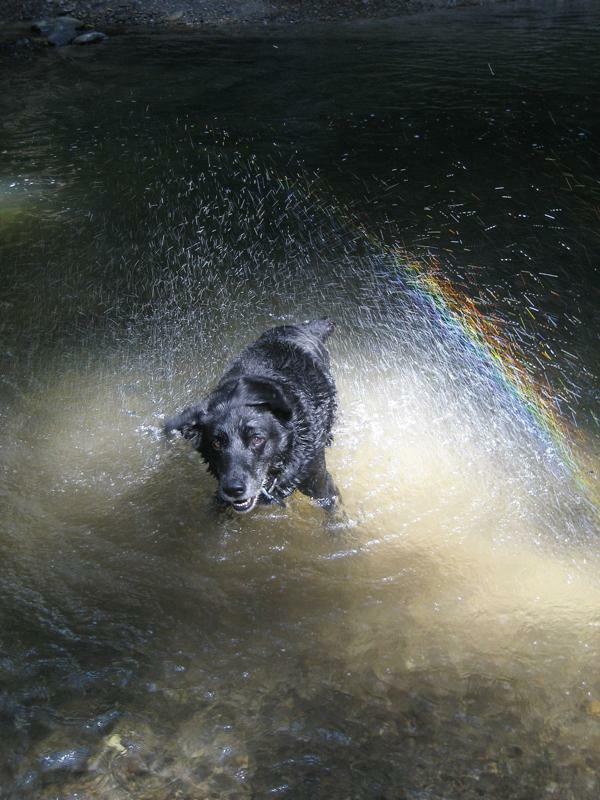 He also got to swim nearly every day which was his favorite thing in the world. 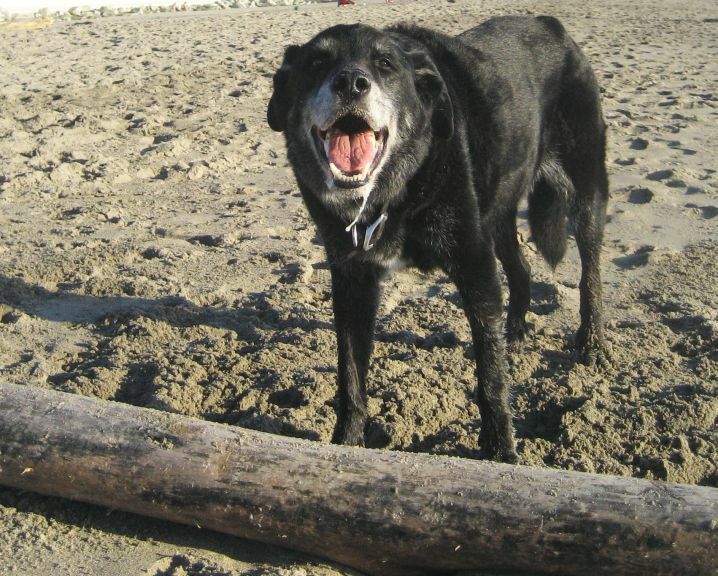 At the beach, he always loved to run along the along the shoreline, feet in the water, waiting for me to throw a piece of driftwood into the surf for him to retrieve. The day before he died, he was trying to wrangle what was literally a waterlogged tree trunk which had washed up on the beach. The thing was at least twenty feet long and so heavy that I could barely move it, yet he was gleefully barking at me, wanting me to pick it up and throw if out into the surf for him! Other than the fact that he had lost a lot of muscle tone, you never would've guessed he was so close to dying. He took a really bad turn that night, and the next morning was in worse shape than ever, and I knew it was time to let him go. Nearly two years later, I still get teary eyed thinking about that morning - stroking his head and ears, telling him what a good dog he always was how much I would always love him, while a sedative / sodium Pentothal combo slowly, gently and mercifully ended his life. Nick was my third dog, so I am certainly no stranger to the pain of losing one at the end of their all too short life, but that sure didn't make it any easier, and I was pretty certain he would be the last dog I would ever have. But a dog loving friend said to me that I would not be replacing Nick if I were to ever get another dog, but that I would be honoring him by giving all the love I had for him, along with all of his things to another dog in need. 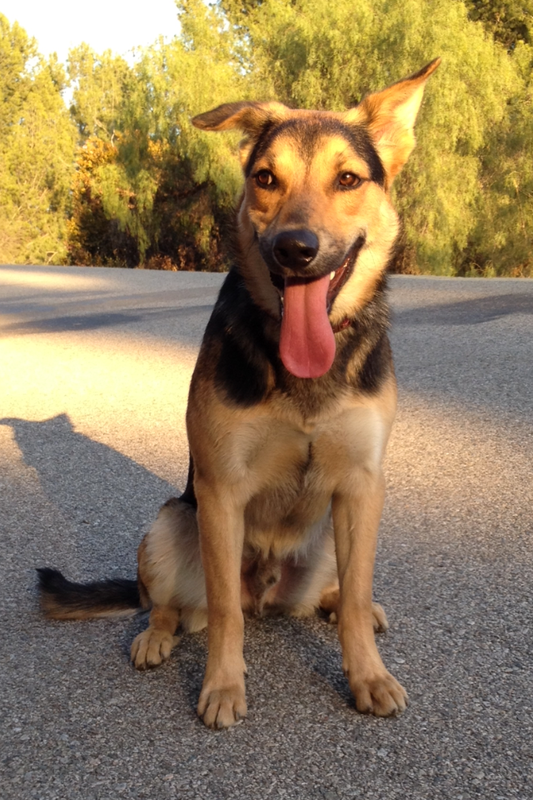 A week later I was at a local Humane Society shelter adopting a 10 month old German Shepherd mix, who I named Riley. Riley is a great dog, extremely smart, really loving and very eager to please. The only real problem I've had with him was, during the first few months, whenever I left him alone, he was either chewing something up or digging up the backyard. Shoes, lawn furniture, a bowling ball bag with a ball inside which he found and dragged out of the garage, as well as many other items all met their fate at the teeth of young Riley when he was left alone. I spent a small fortune on various heavy duty rubber toys and balls, all guaranteed to give your dog hours of chewing pleasure, thereby saving your shoes, furniture and everything else. None of them worked on Riley. I finally decided that I had to just put him in doggy day care. I found a highly rated one nearby and signed Riley up. He seemed to love it the first few days, but for some reason refused to go near the place on the third day. Short of picking him up and carrying him or dragging him through the front door, there was no way I was going to get him inside the place. So we got back in the car and headed for home, without me having a clue what I was going to do with my sweet, yet destructive new pooch. 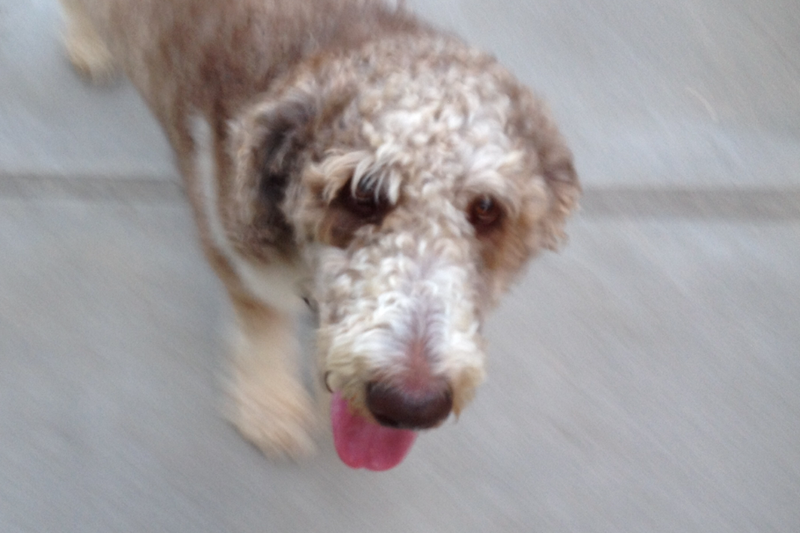 As we approached the house, I saw our next door neighbor out walking the family dog Buster, a big lovable Labradoodle, who Riley really enjoyed playing with when the two had met a few times at the park. I pulled over, wished her a good morning, and, trying not to sound as desperate as I was feeling, asked her if Buster might like to have a companion for the day. "Riley?" She asked. "Sure, OK." She replied after considering it for a second. Two pretty amazing things occurred that day. Buster, who was prone to long stretches of nearly non-stop barking when he was alone in the backyard, stopped his long winded barking, and Riley stopped chewing and digging. All either of them really wanted it seems was to simply not be alone. The arrangement worked out so well that it immediately became the normal daily routine. That's when I knew I had to try to help other dog owners find the same sort of arrangement for their dogs - that's when the idea for Dog Buddy Match was born. But none of this would be happening if Nick hadn't died. And the honor I gave him by getting another dog after he died has now increased infinitely because of the positive difference I know Dog Buddy Match is going to make in the lives of so many dogs. Until we meet again, sweet friend, here's to you, Nick.